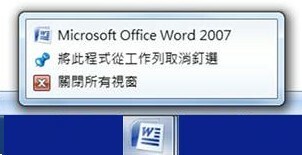 Word 2007 Pinned and Recent. Word 2003 Pinned and Recent. Windows Explorer Pinned and Recent. Windows Live Mail Pinned and Recent.